Picking up where the popular GEL-Cumulus 14 left off, the Asics GEL-Cumulus 15 is suitable for underpronators to mild overpronators and offers a highly cushioned and stable ride. Its breathable mesh and synthetic upper is enhanced with a ComforDry sockliner to keep things fresh during long runs and Personalized Heel Fit technology loaded with memory foam for a custom fit. The Asics GEL-Cumulus 15 utilizes Guidance Line technology for enhanced gait efficiency, and is cushioned by a Solyte midsole and GEL cushioning. Built to last, the Asics GEL-Cumulus 15&apos;s outsole is composed of Asics High Abrasion Rubber. 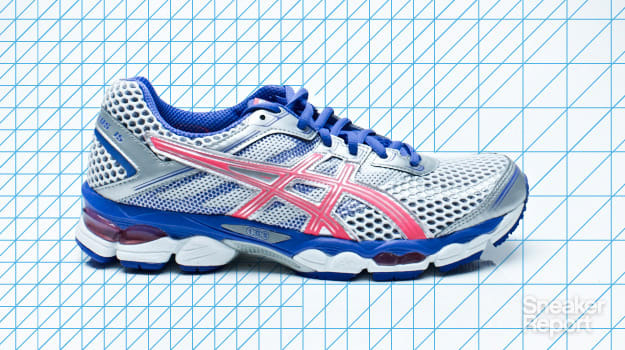 Try out the Asics GEL-Cumulus 15 today for $115.